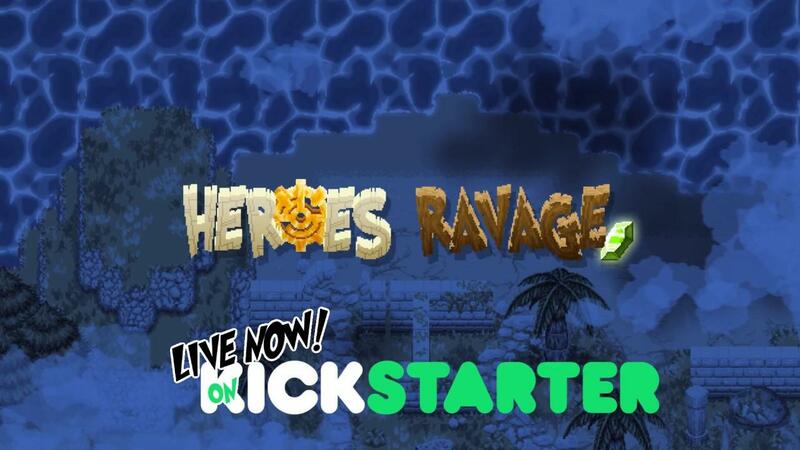 Yet another interesting crowdfunded game to take a look at today, we have Heroes Ravage an online action game that has you play as both heroes and villagers. Heroes Ravage is an all-out battle for loot, only this time there are no NPCs as everyone is a player. Everyone is trying to hold onto their collected valuables, with players acting as the villagers able to hide them and set up traps. It's a 4on4 battle, with four heroes facing off against four villagers and I will admit it does sound very unique. I love how the gameplay is split into different sections, thoroughly mixing up what each side does during the game. As I understand it, it starts with heroes going on quests while the villagers hide their valuables and set up traps. When it moves onto the next stage, the heroes will attempt to steal from the villagers but the villagers aren't going to be pushover and so heroes will need to work together. Honestly, I've not seen anything like this before. A very clever idea indeed! Online 4 Versus 4 multiplayer. Two teams with very unique aspects (Villagers and Heroes). Unique Pixel art crafted carefully to provide the players with the most amazing views. Custom created sound effects for each of the game's interactions. Loads of traps and tools to provide the players with all they need for the ultimate Ravage! On the Kickstarter, the developer is hoping to get at least €53.5K and with 34 days to go they have less than €500 pledged so it could be a tricky one for them. Find the Kickstarter here if you're interested. These so-called "heroes" don't seem so heroic by trying to steal from honest villagers! A better name would be simply "thieves", isn't it? Patola These so-called "heroes" don't seem so heroic by trying to steal from honest villagers! A better name would be simply "thieves", isn't it? In many Role Playing Games heroes loot villagers houses. I think this is parody about that. Quote And so we created a game where players will play as both heroes and villagers, in a fun and engaging satire to the entire genre. It's not meant to be taken overly serious.